This is the time of the year that almost all of my clients are into taking massive action to get their leagues on the floor. from calling back league officers, secretaries, to holding league officer meetings, to working with their consumer and business sales organizations to conducting special events to bring in league bowlers, dropouts and their friends as well a people who have expressed interest in league bowling. In fact, next week I am going to be talking about this process at the Michigan convention, but today I just want to focus on a strategy called “Co-Registration” which is but one part of our overall League Marketing Plan. Today, you are more of a publisher than you are a marketer. Think about how many emails, Facebook posts, newsletters and other materials you are witting today as compared to just 3 to 5 years ago. I am sure it is a big change. Coca Cola, the number one brand in the world, spends millions making sure their brand is recognized. Of course as the number one recognized brand in the world, you would ask why they have to do this. Simply stated; because if they didn’t their competition will. Today I saw a co registration that CVS is investing in with “Back Pack America”©, a not for profit organization that endeavors to provide back packs for kids from underprivileged households. CVS has taken on, at least in my market, a major Cable TV campaign and Newspaper campaign and social marketing campaign to get families who are planning to buy their children a new back pack to donate their old back packs by dropping them off at a CVS store. Why would CVS do this? highly intrinsic “impulse buy quality.” Target© stores, too, have a similar strategy. Its called Feed USA + Target. When consumers buy specific products, Target© will give meals to families across the countries free. 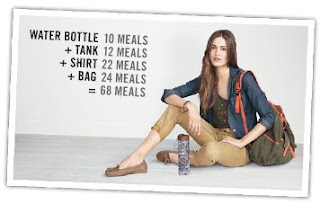 Advertisements show what products you can buy and how many meals it represents. 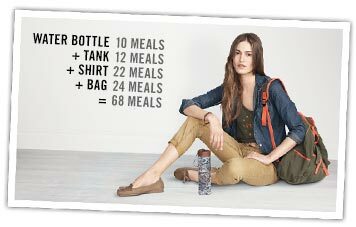 Obviously the more expensive he product, the more meals you donate. Why would Target do this?? For those consumers, and Target© must have done their research on this one, who are concerned about homelessness, poverty, unemployment and other society ills, it becomes a great way for consumers to “rationalize their purchases at Target© or to spend a little more than they planned. A lot of “little mores” add up to a whole lot of “lots more” on their income statement. So perhaps in conjunction with any traffic driver you are planning to do, maybe there is a local charity in your market that you can “co register” a program. And if you think its too late for this September, well, there are eleven (11) other months of opportunity. As always, just give me a call if you want to discuss this with me.